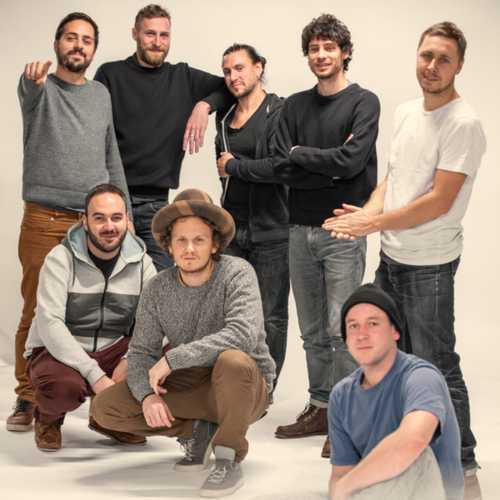 Najavibes is a reggae band founded by childhood friends in the late ’90s in Geneva, Switzerland. With their friend and producer, Asher Selector, they produced two albums; “Musical Road” and “Musical Road In Dub”. Their new album, “Same Sun”, will be out on may 31, 2019. Since 2008, after the marathon concert at the Miles Davis Hall of the Montreux Jazz Festival, NajaVibes has been performing an average of thirty shows per year through Switzerland, France, Belgium, Holland, Germany, Austria, Slovenia, Croatia, Serbia and Gambia at internationally recognized festivals! They have also performed & recorded with more than a dozen artists, such as Earl 16, Tippa Irie, Quique Neira, Chezidek, Prince Alla, Sylford Walker, I Qula, Ossie Gad, I-Twins and I Kong. Najavibes has established itself as an experienced band and backing band, always ready to play and share their music. Just for fun they did a little cover for all reggae lovers and Game of Thrones fans. Enjoy!